It's been on my bucket list to shoot at the Cape for quite some time. 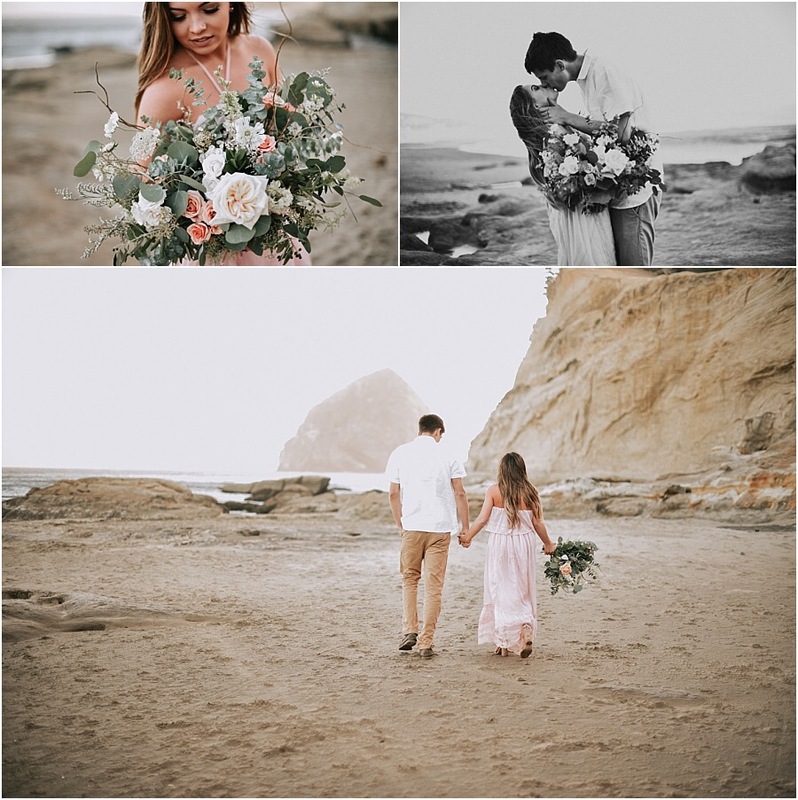 The beachy breeze, the gorgeous colors + scenery...all of it is so dreamy + romantic. We planned for months, Ali B Designs made an absolutely stunning bouquet, Natalie herself is a makeup artist - everything was going to be perfect!! Enter in reality : While the weather was great - beautiful sunset, not too cold - some awesome 25-30 mph winds decided to kick in a couple hours before shooting time. 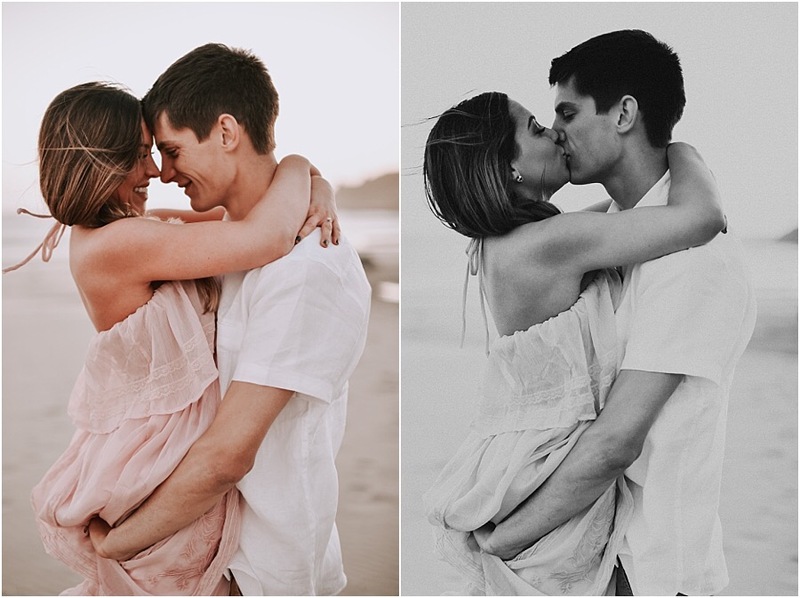 Now I'm all about the messy and the raw, especially when it comes to couple shoots...but 30 mph winds?! That's a little tricky. Natalie + Bobby were troopers. They tolerated the wind + sand for quite some time before we were nearly blinded by sand in our eyes + everywhere else. Needless to say, the shoot was cut short, but the images we managed to get are among some of my favorites ever. So even though the Cape wasn't easy, I'll definitely be going back.